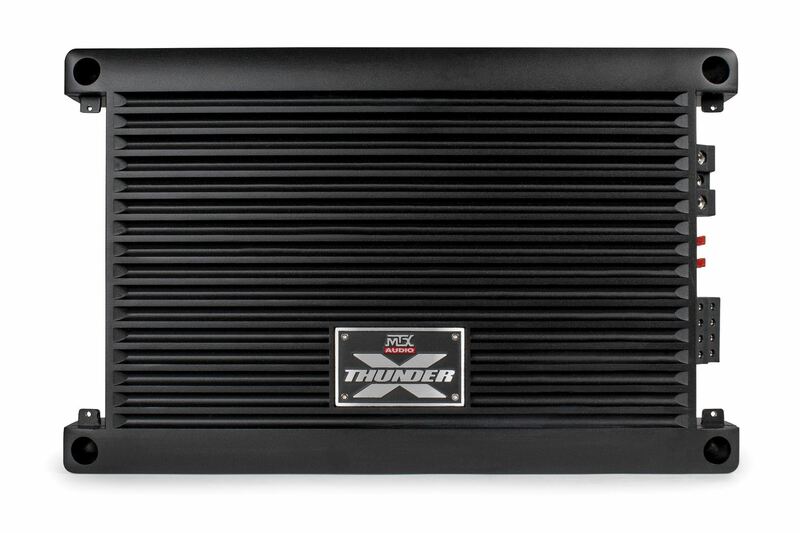 Continuing the Legacy that MTX Audio started almost 20 years ago with the development of the Thunder amplifier series, we introduce the next generation – XTHUNDER. These amplifiers are designed to deliver extreme power to the most demanding speaker system designs and are capable of driving subwoofers and full range speakers alike. The XTHUNDER125.4 four channel amplifier powers high wattage speaker systems with headroom to spare, all without added distortion or over-heating during long hours of loud play. Capable of delivering 125W RMS power per channel into a 2Ω load, the XTHUNDER125.4 is ideally suited to power MTX Signature Series and THUNDER series speakers. This is made possible by using high grade materials and a never wavering dedication to precision workmanship. This is what allows the XTHUNDER Series to deliver exceptional sound quality and performance. We start by using a class A/B amplifier topology to maximize power efficiency while delivering unmatched sound quality. This is all built on a dual sided circuit board with oversized copper traces that maximize electrical flow and minimize power loss before it gets to your speakers. Components are installed using surface mount technology making the circuit incredibly durable and vibration resistant allowing them to survive even when used in big bass systems. 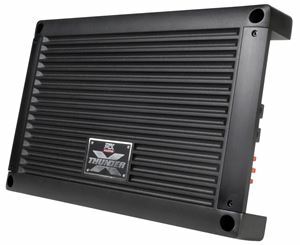 Additional heat management is handled by the top cover which functions as a large surface area heat sink. 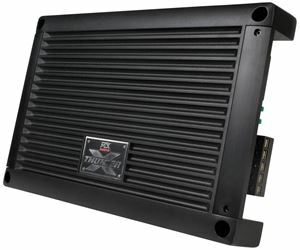 This effectively dissipates built up heat so the amplifier runs cooler and can play louder longer. The chassis also includes removable side covers that create a stealth look when installed but also allow for easy access to connections and settings after mounting. 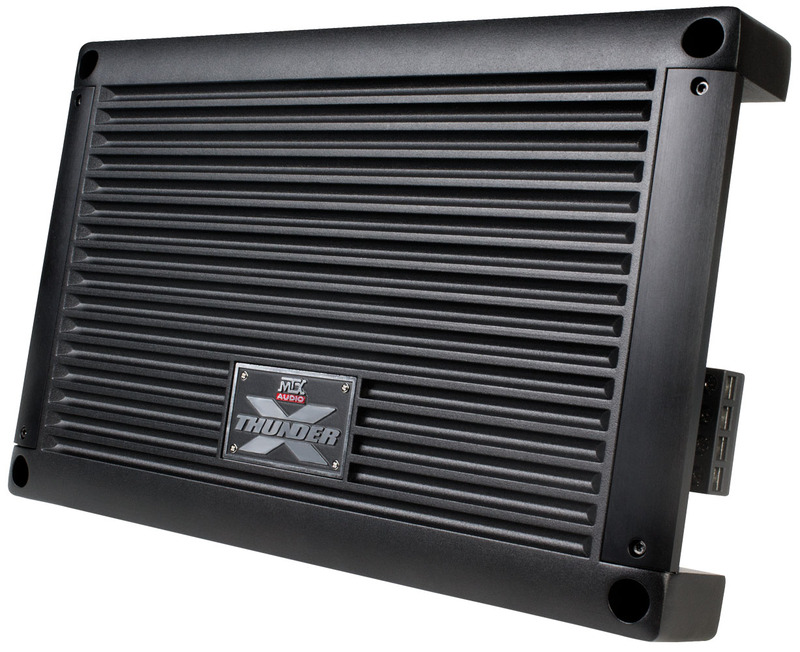 But the XTHUNDER125.4 isn’t just another pretty amplifier. It is loaded with features and enables full customization to ensure the best possible sound quality without distortion. Using the built-in, fully adjustable high and low pass filters, you are able to get exactly the sound you want from your speakers every time. Remember, you cannot install an amplifier without an amplifier kit. 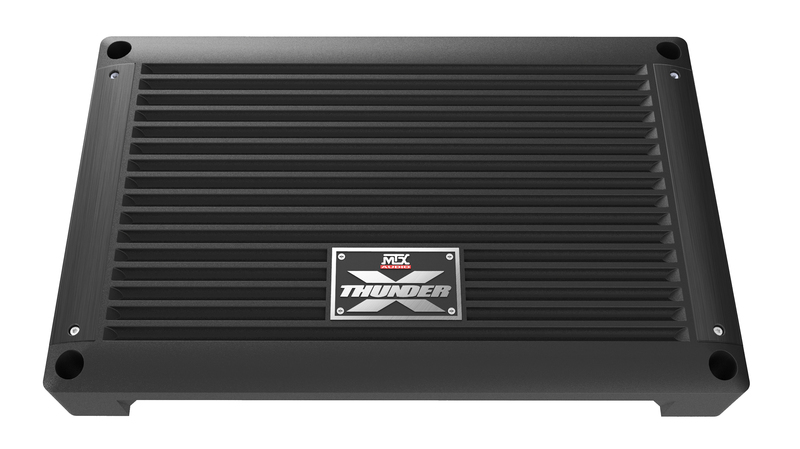 MTX recommends using a ZN5K-04 or ZN5K-08 to power the XTHUNDER125.4.